Curcumin has a long history of use for supporting healthy cyclooxygenase, prostaglandin and leukotriene metabolism. It also appears to provide important antioxidant defense. Furthermore, it supports the body's natural detoxification system and helps maintain healthy hepatic function. These actions are associated with its beneficial effects, including support for healthy liver, colon, musculoskeletal and cellular function. Curcumin C3 Complex® has been the subject of scientific investigations at a number of hospitals and universities. Most recently, it has demonstrated the potential to maintain healthy tissue in the brain by supporting macrophage activity and has been associated with powerful support for cellular health in separate trials. Bioperine® is a black pepper extract that contains the alkaloid piperine. Research reveals that it has the potential to enhance the bioavailability of curcumin, promoting its absorption. 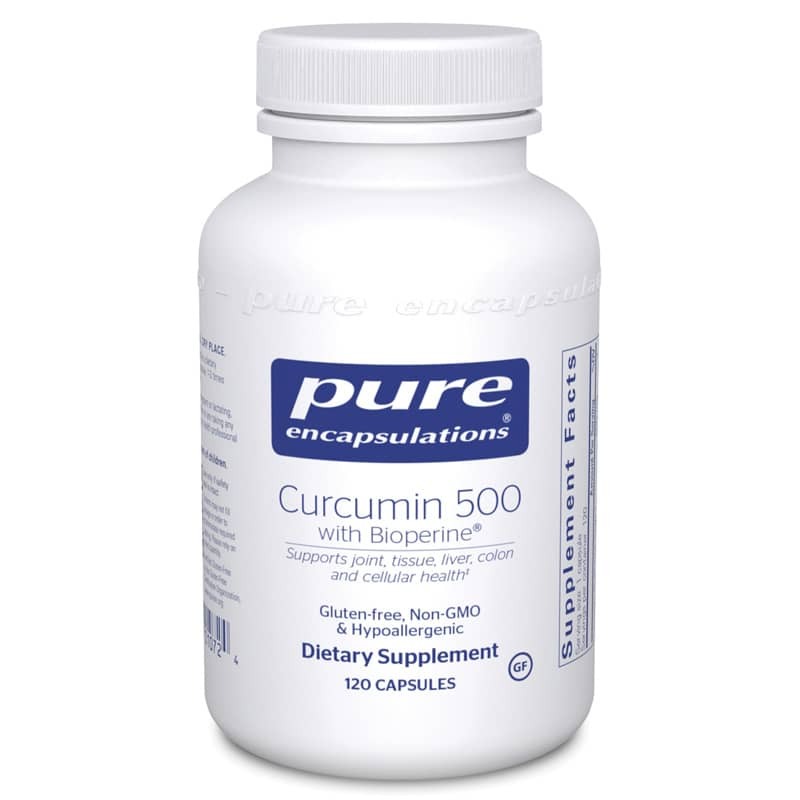 Curcumin 500 with Bioperine® provides powerful cellular support with enhanced bioavailability. †Curcumin C3 Complex® is a registered trademark and patented product of Sabinsa Corporation. ††Bioperine® is a registered trademark and patented product of Sabinsa Corporation. Adults: As a dietary supplement, take 1 to 3 capsules daily, in divided doses, between meals. If you are pregnant or nursing or have a medical condition, please consult your healthcare professional before using this product. Keep out of the reach of children. Great value, very pure formula, and it was essential to me to find a curcumin supplement with bioperine. I am a guitar player. Taking a course of Pure Curcumin with Bioperine along with mega doses of pure fish oil has helped my hands tremendously. I highly recommend it to all musicians out there.